Fly Fishers it is not About your Fly! Fly fishers it is not about your fly seemed an appropriate post during mid-May. May is one of the best months of the year for trout fishing. Bryson City, NC is one of the gateways for the Great Smoky Mountains National Park. The Smokies receives over 14 million folks per year visiting here. The number one question most fly anglers will ask when visiting here is “what flies do I need” for their fly fishing adventure. The region of the Smokies has opportunistic trout. They do not remain ultra selective like many of the waters in the western states. 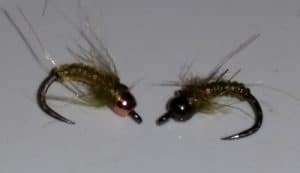 This is good news for visiting fly fishers because it means pheasant tail nymphs, hares ear, soft hackles, elk hair caddis, and parachute Adams will be just fine! These patterns are among the most generic and common fly patterns on the planet! 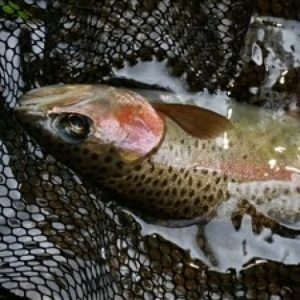 Your successes and failures on the stream are not nearly related to fly selection process as much as your abilities. Abilities is a huge lump sum factor in fly fishing which includes things like line control, casting, water reading, fish behavior, rigging, hooking and playing fish, to name a few of the important factors. It also helps to be on the water during the trout season when the water temps are close to ideal. It is the order of significance as a fly fisher that you really need to consider. 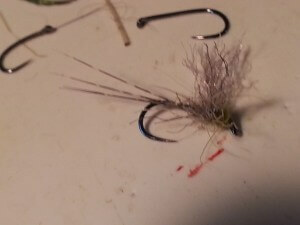 I am sure many will think there is a “magic fly” as challenges increase on the water. In the grand scheme of things, your fly selection process is a much lower priority than the abilities mentioned above. The stresses of water temperature that remain too high really play a role in trout survival. The warmer the water becomes the less available oxygen for the trout. We do have a few options on tailwaters in the area that still offer great trout fishing through July. The summer months have plenty of other fly fishing opportunities in the region. Smallmouth float trips are a blast when the water temps begin to rise. The unfortunate thing for most visiting during peak “tourist season” is that you missed the trout season. Trout metabolism is best when the water temps remain around 50-54 degrees. The peak numbers of tourist come to visit here during July and August. The Delayed Harvest programs have really helped economically for the counties of Western NC. Anglers that understand the seasons are here all through the winter months. Twenty years ago it was rare for me to work trips through January and February out of Bryson City. Now the numbers through the winter months are breaking records each and every year! This is because many are coming during the best trout season! Fly fishing for trout around Bryson City has some of the most spectacular scenery in the country. The small wild streams have many waterfalls with lush vegetation all along the banks. It is technical fly fishing the smaller wild streams because of the diverse water currents and the foliage. It is for this reason that I love the fly fishing challenges the area offers. If you are heading out on your own adventure in the Smokies, just remember to have the basic fly patterns mentioned above in various sizes and keep it simple! There is plenty of more important facets of fly fishing than worrying about your flies! The whole fly selection process for visiting fly fishers is really the least important overall in the grand scheme of things. So remember fly fishers it is not about your fly!